Old Town Orange may be one of the cutest places in OC. It also has some pretty tasty eats. One night when my parents were in town, we decided to stroll the circle. It was a nice evening and we weren't too hungry. By the time we were thinking about dinner we were standing in front of The Filling Station. Although it wasn't the most impressive ambiance, we were actually surprised by the food. I expected the Filling Station to be a typical diner, but it had a variety of menu items for picky eaters or "foodies". 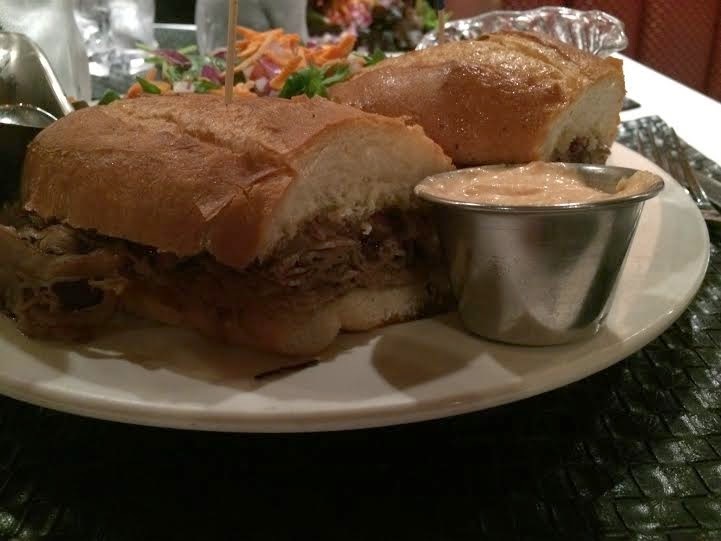 We ordered the eggplant sandwich, pot roast, french dip, and soup. 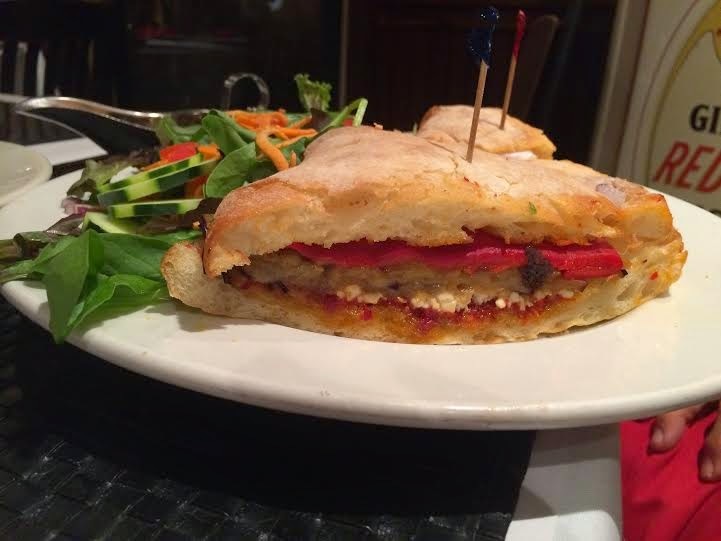 I personally hate eggplant (I think the texture is weird) but the sandwich was quite good. Loaded with veggies, you almost forgot how terrible that purple squishy thing is. The french dip was just fantastic. 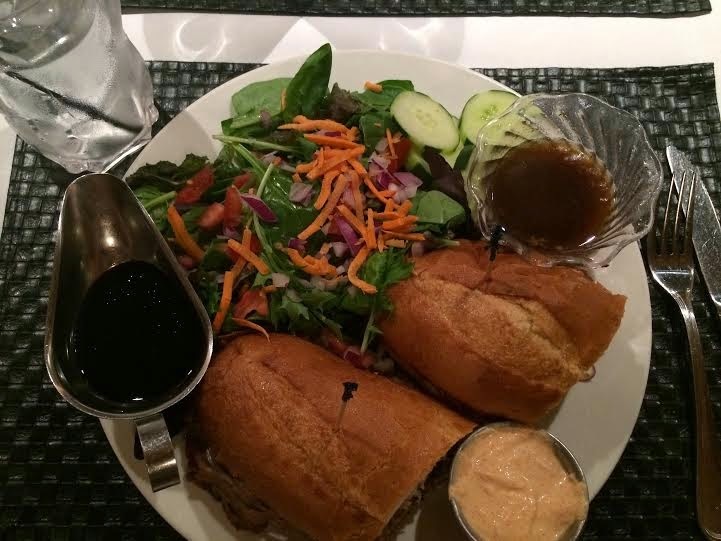 The bread was soft, the au jus was spot on, and the waitress even spilled my dressing on part of the sandwich which actually made it taste better. (I love balsamic dressing.) 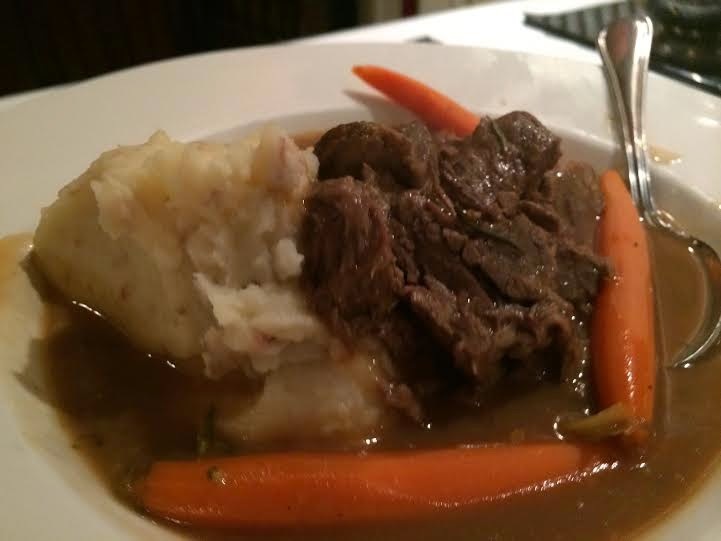 The pot roast was pretty good too, but the garlic mashed potatoes weren't very garlic-y. This place was surprisingly tasty, but it definitely needs a renovation. I recommend sitting outside, and potentially going for brunch or an early dinner when it is still light outside. (During the summer months, this wouldn't be an issue.) Although there are a lot of options in the area, this is a place I would come back to. Labels: Lunch Time, Orange, Sandwiches, The Weekend Update, Weekend Retreat, What's for Dinner?